Website traffic is measured to see the popularity of web sites and individual pages or sections within a site, So if you are not receiving lots of quality traffic then it all counts for nothing! 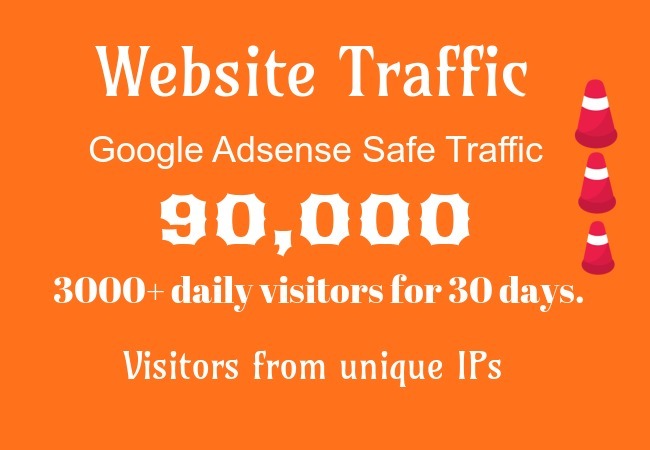 I will drive over 90,000+ supper targeted traffic daily for 30 days just for $6. 5000+ visitors daily for 20 days. P/S: I can't force people action,soi can't promise about sales, conversions or sign-up ...etc. I will provide you 5k traffic daily for 20 day is ranked 5 out of 5. Based on 10 user reviews.